I’m ready for Fall and for this 100* weather to go away! The first area I decorated in my home was my mantle. I have been loving the phrase “Hello Fall” and wanted to find a piece of art for my mantle. I couldn’t find exactly what I wanted so I decided to make it. 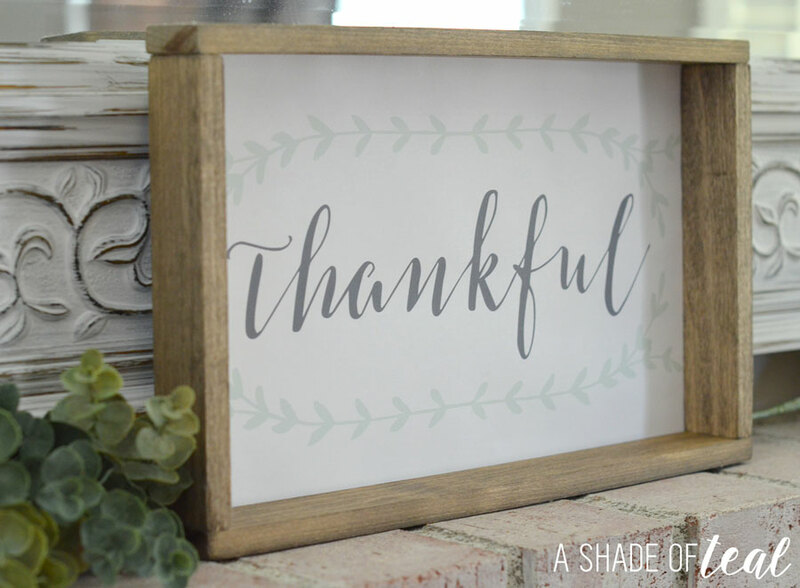 I also made a “Thankful” sign to match. 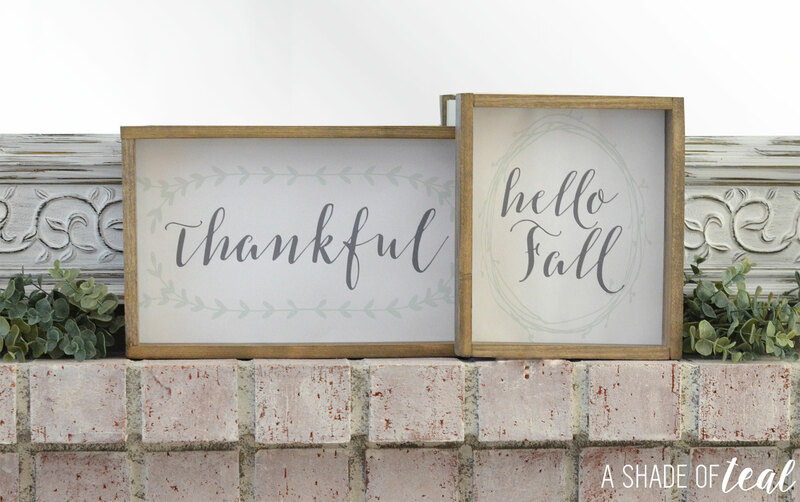 I’m giving away both as a Free Printable download (below). 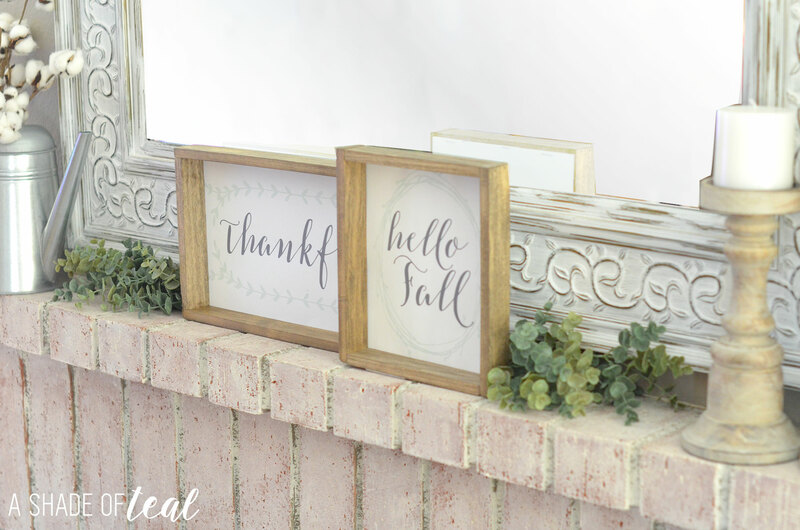 If you want to learn how to build these easy wood frames check out the full tutorial here. I love how the frame’s came out! They match my candle sticks perfectly. Get your free copies here. Please note these are for personal use only, do not sell or re-create. Thank you! 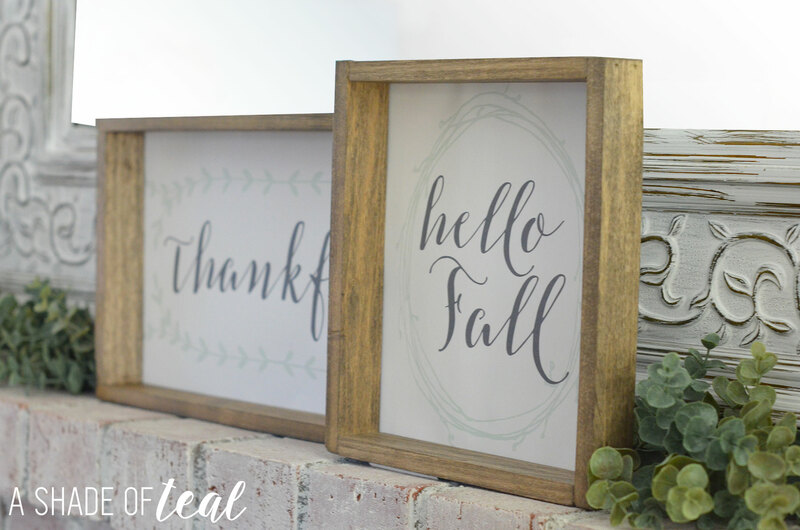 Make sure to check out the full tutorial on how to make these Simple rustic wood frames here. 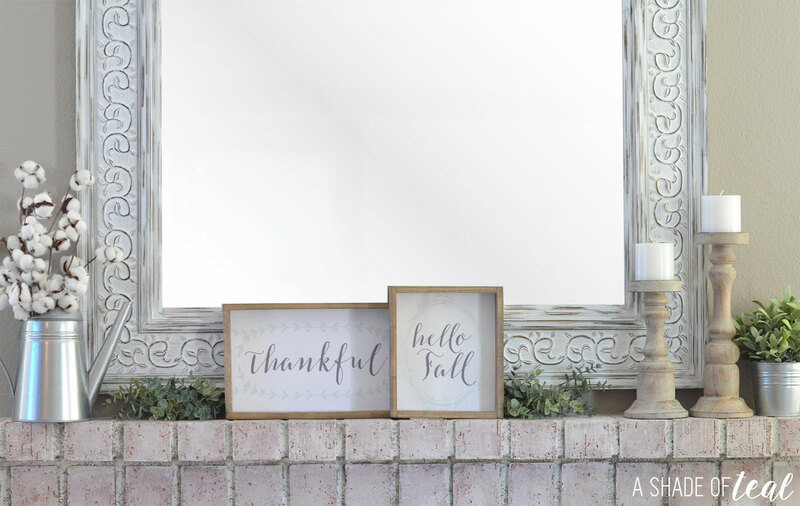 « Farmhouse Fall Decor Style on a Budget! Do you have any other sayings? Perhaps Blessed or Thankful? Sorry not for free, if you would like a custom sign I can make it and offer it through my Etsy site. What kind of paper do you print the sayings out on? Cardstock? Did she mention the kind of paper she used? ?